I am not the clumps of nappy blond ringlets I was born with. I am not the bouncy, lopsided roller set bouffant my mother gave me for school picture day. I am not the neatly twisted pigtails decorated in colorful barrettes and hair bows that matched my childhood outfits; nor am I the pressed and curled tresses my cousin Bug painstakingly spent all Easter Sunday morning fixing over the rickety gas stove in our kitchen. I am not, not my hair. 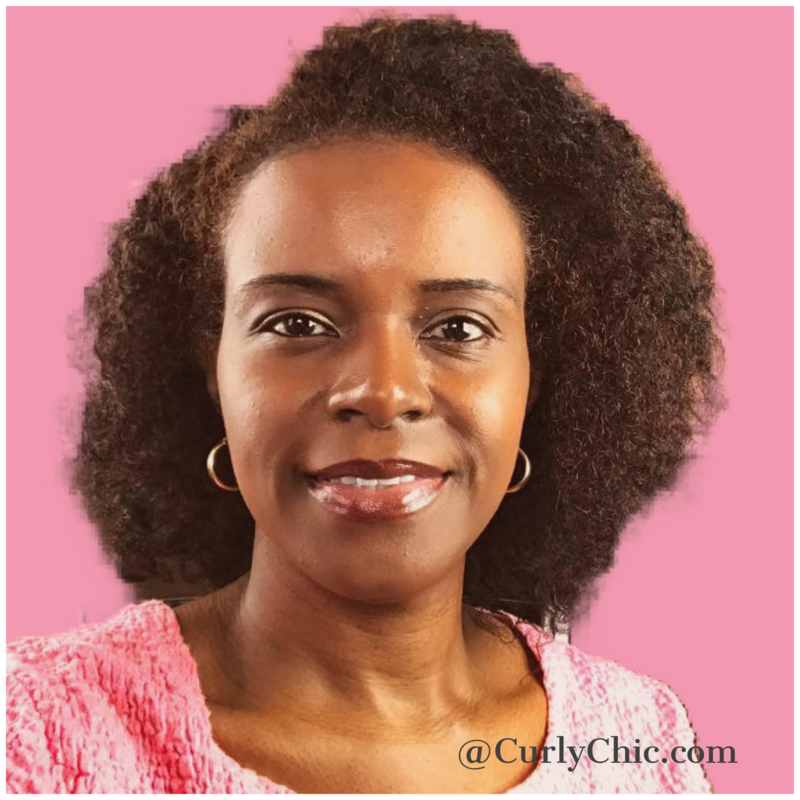 I am not the skin-tight French braids or the soul-leaching, left-on-too-long chemical relaxers that burned and damaged my scalp or Jheri curls that stained my pillows in junior high. I did not know it then, but I am not the high-top fade with two Kid N’ Play parts on the side that I donned during my house music phase, not the gel-slicked bun I wore as a U.S. Marine, not the cut-to-perfection bob I wore as a Fortune 500 executive. Despite the tears shed, I am not the wig I wore after my hair fell out behind a botched dime-store dye job the night before my best friend’s wedding. I am not defined by the cost of those top-of-the-line perms I got in a swanky salon or the few bucks I spent to get one out of a cardboard box. I was no more of a woman when I let my natural mane grow out, and no less when I later had it corn rolled and weaved. If you are black and a woman in this country, you know well the misplaced importance on the length or texture of your hair. Some of have subscribed to it, while others fought their whole life long against it. Meanwhile, black hair care is a billion-dollar industry controlled largely by multi-national companies who invest themselves in the myth that not all hair is beautiful—that your very blackness is not beautiful in and for its own sake. Since the first of us were forced to these American shores in chains, some with babies in their wombs, we have been hoodwinked into believing that the way of life in which our ancestors flourished was somehow inferior. We were told that our chocolate brown, sun-drenched skin was something to be abhorred, that our tightly coiled locks said something significant about our intellect and morality. We bought into the notion that the master’s illegitimate daughter, the one with smooth black curls and “light-bright-almost-white” skin was somehow more valuable than our own daughters. Tragically, we were taught to hate ourselves—to hate where we came from—to hate our reflection in the well water. Even in our Emancipation, we let it define who we married, which sorority we joined. We let it tell us who was “in” and who was not worthy of our clique. Generations later, even in an age of the Great Awakening, too many of us — men and women alike — are still fast asleep in the bosom of assimilation. Then there are those who embrace their natural hair as a sign of cultural superiority. There are those who demonize their sisters for the styles they choose, as if that always says something about her social consciousness. The never-been-to-Africa crew takes a certain misplaced pride in eschewing the “creamy crack” as if somehow that makes them better than the woman next to them. She wants the world to know her Lola Falana-esque Afro says she did not buy into the “game.” She has tricked herself into believing that her intellectual station and self-awareness is higher. Hair is dead–nothing more than a collection of decomposing, keratinized epithelial cells. Yet, we are still allowing it to divide us. The discourse around hair has become nothing more than a proxy war for “colorism.” Are you any more black because you wear weaved micro-braids or dreadlocks? Have you cornered the market on black consciousness because you prefer a plastic black-fisted hair pick to a metal, red-hot pressing comb? A lace-front might make me look like George Washington, but it does not speak to my journey. 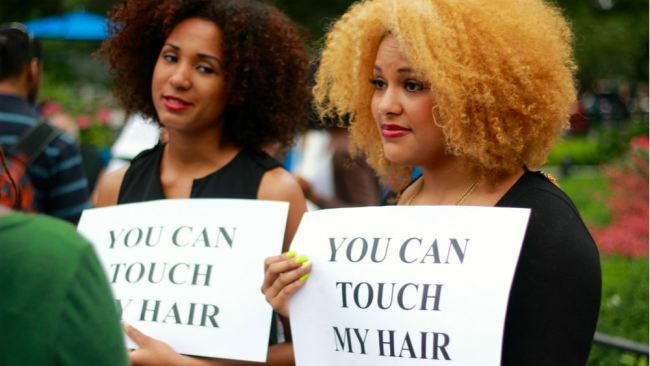 Are you any less a woman of color when you choose to wear Brazilian extensions or rock a flat-ironed Phyto? Too many of us are indicted based on what is or is not on our heads as opposed to what is in them. The personal truth I speak has little or nothing to do with the texture of my hair. It did not study in the lecture halls of academia. My hair did not raise my children or love my man. My hair did not buy my home or a stick of the furniture it contains. My hair does not give speeches, influence public policy or advocate for the issues I care most deeply about. It did not write the books or the countless opinion columns I have published. In fact, my hair does not read. It does not know how to write. If that were not enough, we have turned our ire on our own children. We tell them, without words, that their hair is not enough. The clearest and most prominent example of this is Blue Ivy. The ongoing kerfuffle about Beyoncé and Jay-Z’s daughter left me angry and thinking: Who taught you to hate yourself? “It’s disturbing that folks think Blue’s hair should be anything other than its natural, beautiful state,” Tonya Alston tweeted me early Sunday afternoon. Despite being publicly chided for not subjecting her child to hours pressed between her knees and the trauma of snug rubber bands, Beyoncé made the decision to let her baby daughter’s hair run free—to find its own way. The fact that I fully support and encourage my daughter’s desire not to give into societal pressures and refrain from over-styling my grandbaby’s hair says nothing about my consciousness. Neither does my standing weekly appointment in an upscale salon. If I choose to straighten, weave, color or let it fly free, it is my business. It is mine and mine, alone. The collective self-loathing—from both sides of the debate– is maddening, especially in the context of our shared history. It is even more so perplexing when it is leveled against a child. One thing I know for sure: Blue Ivy will still be flaunting her “edges” long after yours are gone. As a people, our liberty is about choices—the freedom to make them. We should honor that diversity. Let us know how you feel about this post. Comment below.